OSCAR PISTORIUS JUDGMENT A TRAVESTY OF JUSTICE!! There is a Setswana idiom which says Motho o tshwarwa ka mafoko, kgomo e tshwarwa ka dinaka. This means a person reveals or speaks his/her deep or inner secrets through talking (through his mouth) and when one wants to slaughter a cow/bull, one would handle it by its horns – grabbing the bull by its horns so to speak (For non-Setswana speakers, Motho is a person and kgomo is a cow or bull, mafoko are words and dinaka are horns. Go tshwarwa as in the first phrase means to get caught and in the second phrase it means to be grabbed or handled). It is through speaking that a person can reveal whether or not they are honest and truthful. In a court of law this is done through evidence in chief and cross examination. This writer raises this issue because in her judgment in the State vs Oscar Pistorius, Judge Thokozile Masipa said the mendacity of the accused does not necessary mean he was guilty. The question is: what is the purpose of a cross examination? State Prosecutor Advocate Gerrie Nel repeatedly and correctly said he was testing Pistorius’ and other witnesses’ evidence through cross examination. Cross examination is the best known and oldest technique of obtaining the truth from witnesses and accused persons. 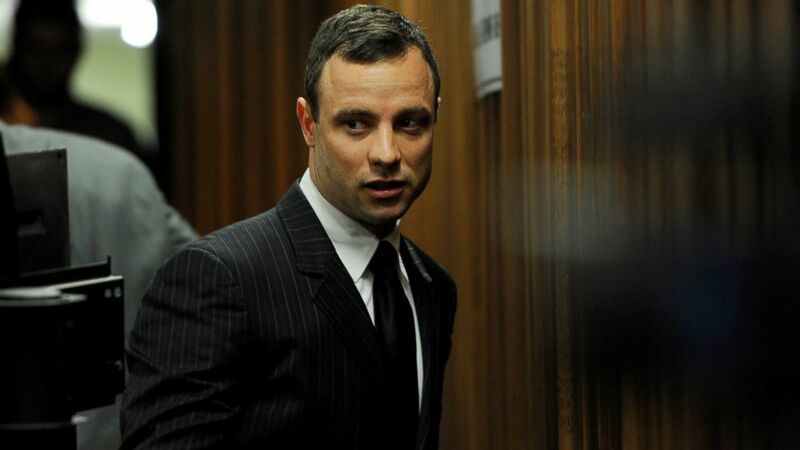 In the State vs Oscar Pistorius, the state was faced with a case in which there were two people who knew what had happened – Reeva Steenkamp and Oscar Pistorius. The latter killed the former in cold blood “believing there was an intruder or intruders” and he should have been able to tell the court a plausible account of how the events unfolded that fateful day. However, his evidence was incredible but credible nonetheless to Judge Masipa and probably her assessors. Judge Masipa agreed with Advocate Nel that Pistorius was a poor witness, argumentative, evasive, mendacious and always thinking about the implications of the questions put to him. The Judge didn’t think Pistorius was play-acting but Advocate Nel thought he was and asked Pistorius more than once why he became emotional when he couldn’t answer tough questions or when he realized that he was contradicting himself. A person becomes evasive usually in order to conceal the truth. A witness who claims to have mistakenly taken the life of an innocent person and acted the way Pistorius did in the witness stand should have raised the concern of any presiding judge but Judge Masipa was nonchalant. Judge Masipa’s indifference emboldened Pistorius to be arrogant and petulant. Why, in the interests of justice and fairness, did Judge Masipa not request the cantankerous Pistorius to respect the court? Or did she? Judge Masipa strangely seems to think that Pistorius was the only distraught person about the death of Reeva Steenkamp but not her parents, family and friends. She based her findings on the impressions of Dr Stipp who she described as an independent witness but whose adverse evidence against Pistorius she didn’t accept. She ruled out the possibility and the fact that Pistorius could have been devastated by the guilt of having caused the death of Reeva. She seems to think that Pistorius couldn’t lie and is deserving of justice more than Reeva and her parents. She believes the mendacious story that Pistorius wanted to protect Reeva and himself. How could he protect a person whose whereabouts he didn’t know? If he knew Reeva’s whereabouts he couldn’t have shot and killed her with a hail of bullets in the toilet cubicle. Judge Masipa agreed with Advocate Nel that Pistorius had other options such as going out through the patio door thereby avoiding to confront what he perceived to be a danger. Advocate Nel went further and said if Pistorius opted to avoid a confrontational approach, Reeva could be alive today. She conceded that Pistorius acted in haste, recklessly and negligently. She also said that there were issues which would remain in the realm of conjecture such as why Reeva never responded when Pistorius shouted that she should call the police and why Pistorius shot four instead of one bullet. Pistorius was cross examined for days and Judge Masipa had ample opportunity to ask him why he shot four bullets instead of one and why he discharged his firearm even when he couldn’t hear Reeva’s response. A judge or magistrate is allowed to seek clarification through asking questions. There is a probability that Reeva did scream as some witnesses testified but their testimony was not accepted because of the timeline. There is no person, especially a woman, who can remain tjoep stil in the face of imminent danger and possible death knowing quite well how trigger happy and irascible Pistorius is. Pistorius gave evidence that, “the discharging of my firearm was precipitated by a noise (in the bathroom) believed to be the intruder or intruders coming out of the toilet to attack Reeva and me”. Judge Masipa, at this stage Reeva was still alive and Pistorius was about four to three metres away according to ballistic evidence. Do you believe Reeva didn’t utter a word? Anybody who believes such bunkum can believe anything. It is preposterous that a person, especially a female, facing imminent danger and possible death can remain dead still. Before he heard the noise in the bathroom, Pistorius had his firearm pointed at the bathroom door and he had walked a few metres from his bedroom. He told the court that he shouted to the supposed intruder or intruders “to get the f*** out of my house” before he discharged his firearm which clearly indicates that he had time to reflect. Discharging of his firearm wasn’t a spur-of-the-moment action as Judge Masipa would have us believe. It is debatable that he didn’t know that Reeva was in the toilet. It is the state’s contention that he knew that Reeva was in the toilet while Judge Masipa thinks he didn’t know. In this matter it’s Pistorius’ word against Reeva’s and as we all know “a dead (wo)man tells no tales”. Judge Masipa should have made sure that Pistorius’ evidence sheds light on the issues she said in her judgment will remain a matter of conjecture by answering the state Advocate’s questions without equivocation and being quarrelsome. Whether or not Pistorius knew Reeva was in the toilet, the fact remains that he knew there was somebody in the toilet and therefore should have been convicted with Dolus Eventualis as a compendium of legal opinion have suggested. If he didn’t know there was someone in the toilet why would he shout, “get the f*** out of my house”? Judge Masipa either couldn’t bring herself to convicting Pistorius for reasons best known to her or she interpreted the law erroneously, therefore the state should seek leave to appeal so that this matter can be decided by the Supreme Court of Appeal. An appeal would do justice to the Steenkamp family. Moreover, listening to various radio talk-shows there is a groundswell of support for this case to be adjudicated by a higher court. The writer is a Senior Researcher at the Pan Africanist Research Institute (PARI).